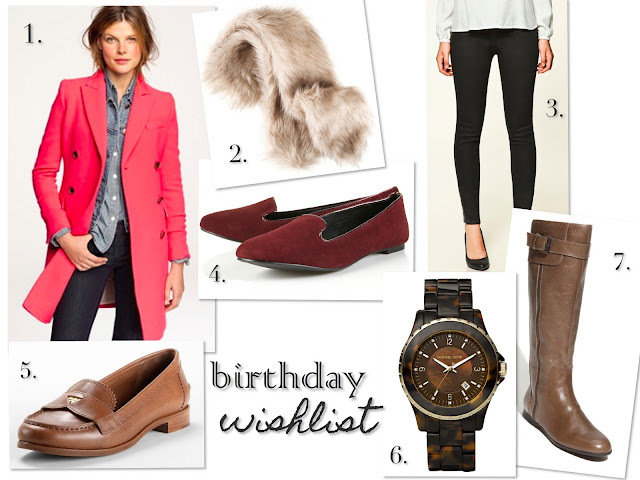 OK, my birthday is still two weeks away - but just in case you're still searching for that perfect gift, here's my wishlist for this year. Happy Monday! **part of the Nordstrom Half-Annual Sale, going on now! love everything! especially that coat. bright coats are my favorite for winter!! have a good day, doll! i have that exact m.k. watch ;) its fab. hopefully meggles is feeling nice!